University River Village offers one, two, and three bedroom apartments with rent by the room options available. Don't feel like lugging your bed in a U-Haul ? Don't worry we have furnished apartments options available. What is rent by the room? All roommates have their own private bedroom with lock. Roommates have the option to upgrade to a private bathroom. The kitchen and living areas are shared. Each resident has their own lease and pays their individual rent. All applications are reviewed and approved independently. Benefits of renting by the room? Want to learn more? Call us today (916)381-200 to schedule an in-person tour, and start experiencing the URV difference. Like Us on Facebook, we will waive your fees. 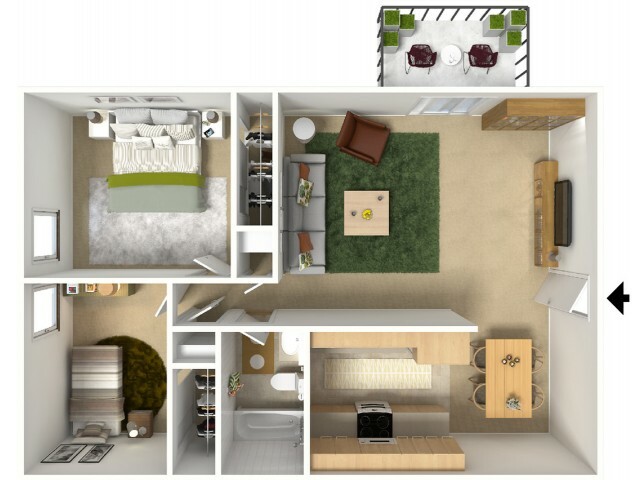 Just click on the floor plan you would like to see for more information and check out our amenities page for more on all that University Village has to offer!